When a relative is in trouble, our first thought is to help them, to rescue them from whatever is bringing fear or discouragement into their lives. Piper is no different from any other Christian person. When her brother Reef is charged with murder, she decides to save him because she knows he would never kill another person. So Piper works beside and sometimes in front of Deputy Landon who is put on the case. Unfortunately, Reef is found with Karli's body in his arms with the murder instrument, a knife, in his hands. Although it looks like he obviously murdered the woman, Piper never loses faith in Reef's innocence. 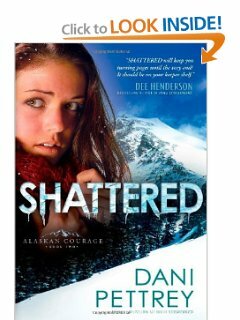 Her desire to save her brother will find her talking to weird and dangerous characters as well as finding herself in a moving, very strong avalanche in Alaska. Before the crime is solved everything becomes more dense than a forest. I had no idea who would ultimately and involuntarily save Reef's life and destroy their own during the investigation.